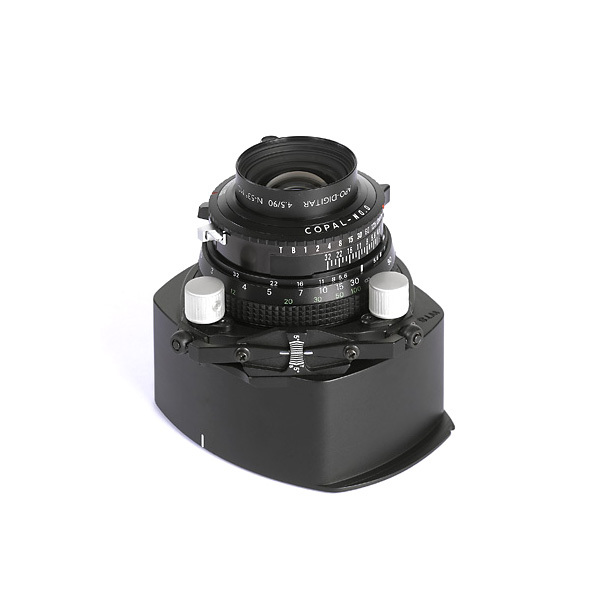 The WTS-890 Lenspanel is dedicated to the use with Digital Backs and has a Schneider 4.5/90-N mm Apo-Digitar lens with copal 0 shutter mounted in a helical focussing mount. This lenspanel features an integrated tilt and swing mechanism which can be operated with two precise gear-driven knobs upto 5 degrees Tilt up and down and 5 degrees Swing left and right, while both swing and tilt can be set independently, separately but also in combination. 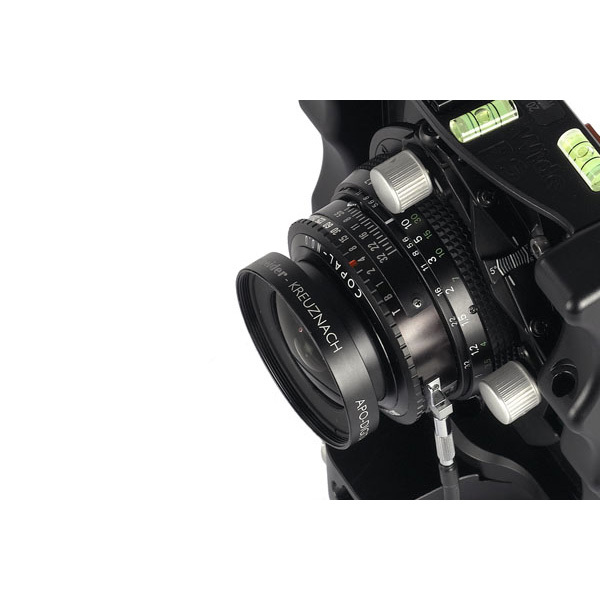 The movements have a clear and forced zero position where the parallel setting to the focal plane is guaranteed.